Although having a majority-Hindu population, India has approximately 150 million Muslims, making it the second largest Muslim-populated country in the world. Approximately one third of them though live below the poverty line according to surveys. Sectarian violence in recent years have claimed a hugely disproportionate number of Muslim lives. 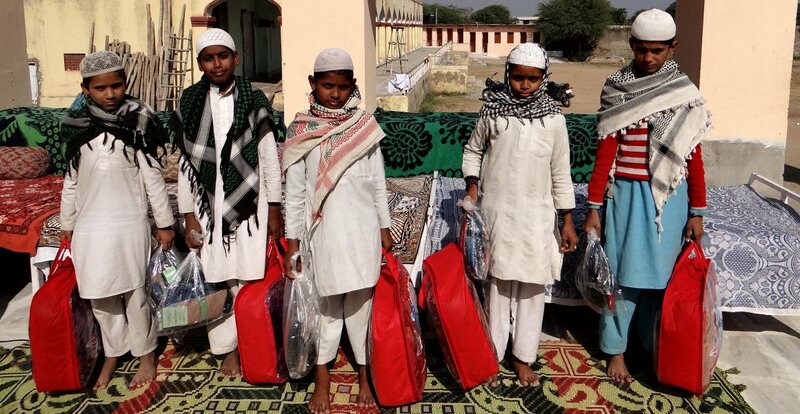 Politically and economically under pressure, Indian Muslims need support more than ever. In West Bengal, east of the country, Ummah Welfare Trust fieldworkers found desperate rural families selling their daughters into the local slave trade and prostitution racket. Ummah Welfare Trust works hard coordinating relief efforts across several states in India, helping to lift thousands out of spiritual and economic poverty. in Bihar receiving food support for students.